Most mornings I have a teaspoon of lemon juice in 8 ounces of warm water. I’ve run into many people who have incorporated the same practice into their routine. I hear a lot of reasons why people do it. There are a variety of reasons that I hear, some true and some not so true. Here are 3 facts about the lemon juice practice that you may or may know. The liver is extremely active during sleep since this is the body’s time to restore and regenerate. 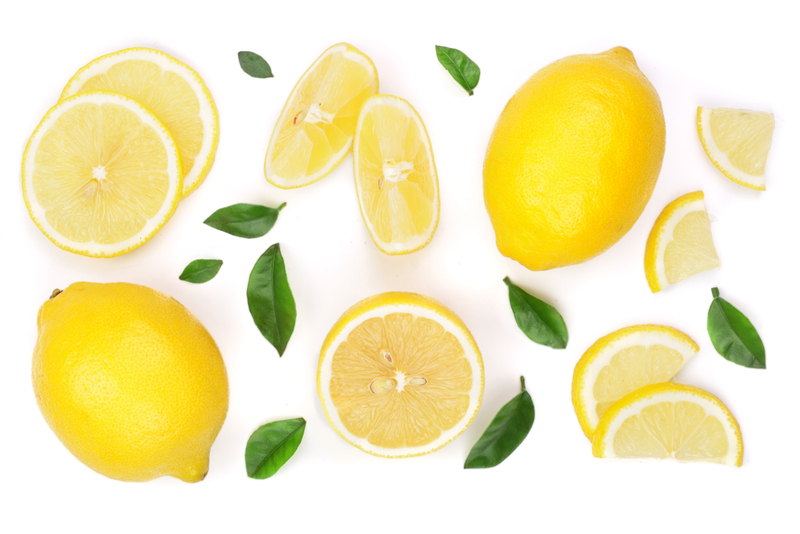 There is some evidence that lemon juice can help stimulate proper stomach acid production and bile production. This in itself is supportive of our livers. So for a happy liver, make a habit of drinking 1-2 glasses of lemon water before having your coffee or tea. We all know that vitamin C is good for our immune system. A healthy immune system can ward off a whole lot of illness, particularly during the winter months. Lemons contain vitamin C. The benefit of drinking lemon water first thing in the morning is it gives our body a chance to absorb the vitamin C more effectively. We get a nice little immune boost first thing in the morning. Vitamin C is also good for our adrenals and can potentially help reduce the effects of stress. There is so much good and bad nutrition information around us. One myth is that lemons make us smarter. While drinking water or lemon water in the morning can help with alertness and focus, there is no evidence that water with lemon actually increases the IQ over the long term. Sorry! Slice up a lemon at the beginning of your week. I get 6 slices from my lemons. Put the slices in a glass container in the refrigerator. 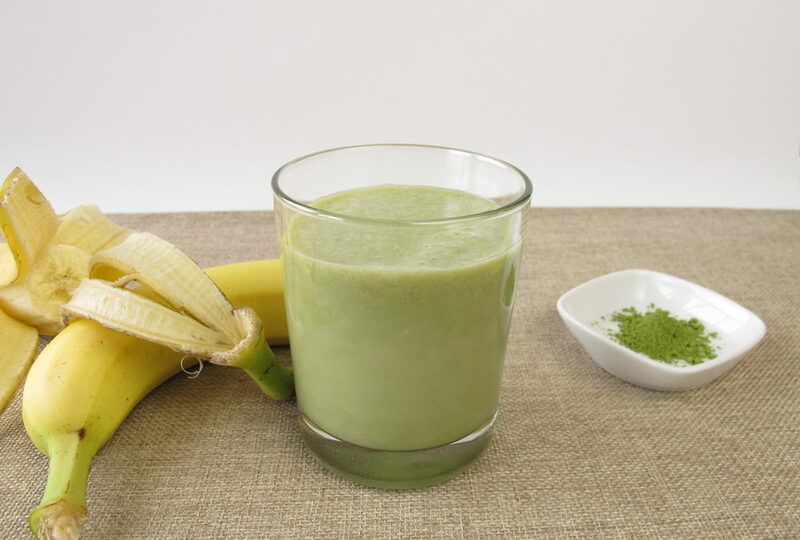 Each morning take one slice and squeeze approximately 1 teaspoon of lemon juice into a glass. Add 8 ounces of warm water. 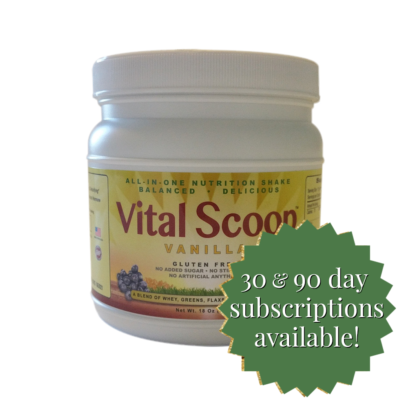 It’s that easy and you’ll be giving your liver and immune system regular support. First Woman: I went to my doctor the other day and she told me that I needed to lose weight and balance my blood sugar. If I don’t get it together, she’s going to put me on medication. Second Woman: Oh! Well whatever you do, don’t eat bananas. They’re high in sugar and will make you fat. Unfortunately this isn’t the first time that I’ve heard this attack on bananas. Somehow, bananas have become the root cause for our blood sugar being out of balance (leading to diabetes), our weight, and our lack of energy. Bananas increase the feeling of fullness which keeps me going through the rest of my afternoon until dinner. Bananas alongside Vital Scoop and peanut butter contribute to a balanced meal that moderates insulin levels and ultimately fat. Get Real! Don’t blame the poor little banana. 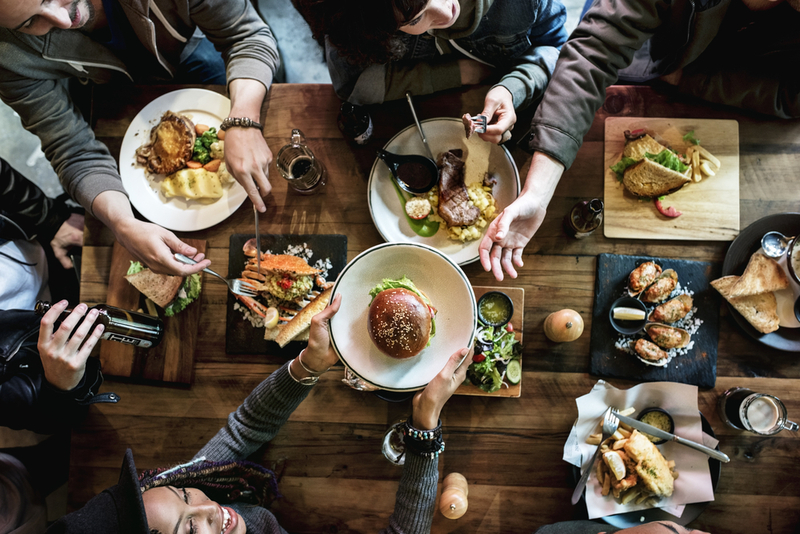 Our super busy lives often lead to poor choices and little access to good healthy foods. 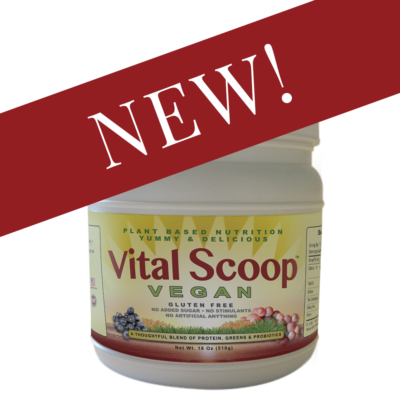 Vital Scoop, alongside most foods, will leave you feeling healthier and more confident about your food choices. 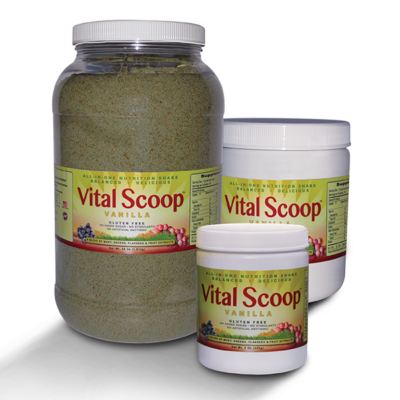 What’s your favorite Vital Scoop afternoon snack?